At the end of July, I had $59,600 in my TFSA account, which was down by 10.1% since the start of the month. By comparison, the Canadian stock market went up by 1.1% while the U.S. stock market went up by 1.9% in Canadian dollar terms. Therefore, my portfolio underperformed the broader market. The majority of my portfolio consists of oil and gas stocks. In July, oil prices plunged from $74.13/bbl to $69.88/bbl (in US dollars), and my oil stocks reacted strongly to the plunge. There appear to be two reasons for the slide in oil prices. One is due to Donald Trump’s efforts to achieve lower oil prices. At the end of June, Trump claimed that Saudi Arabia agreed to increase its production by as much as 2 million barrels/day. If the Saudis followed through, that would almost certainly shift the global oil market balance into oversupply. Now, investors know that the Saudis would have a very hard time increasing production by the full 2 million barrels/day, first, given that they would have to break the OPEC agreement they just signed a week prior, and second, because their oil fields probably can’t handle such a large increase in production. Still, the Saudis apparently did rush to increase production somewhat in July, which contributed to the oil price decline. Given the extent of the slowdown in purchases, investors generally believe that China is destocking its inventory, and hence it will only be a matter of time before China ramps up its purchases again. However, I worry that a part of the slowdown in purchases is due China’s economic struggles brought on by the trade war. Many economists have been worried in recent years by the explosive growth of debt in China. Although its government made it a priority to tackle the debt, progress has been slow as reducing debt often leads to slower economic growth. 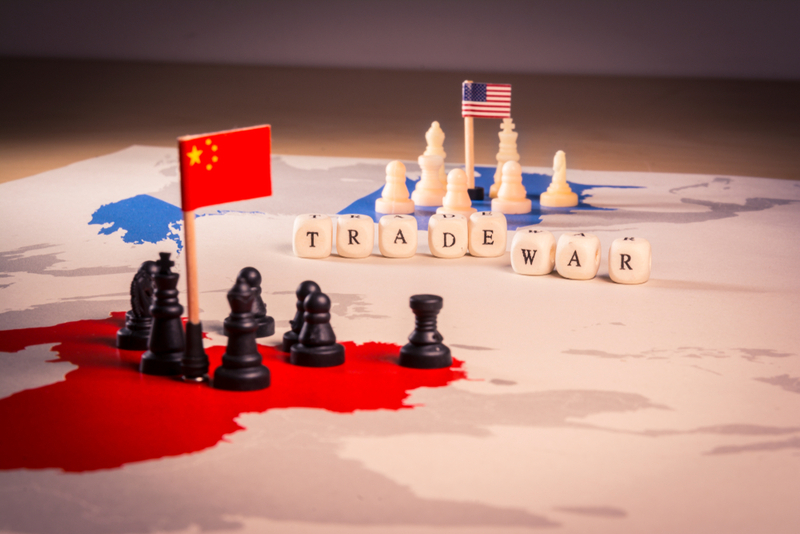 Since the onset of the US-China trade war, the Chinese government’s job became much harder, and it may be having to accept slower growth in order keep the debt from spiralling out of control. There are some indications that China’s growth is slowing. The Chinese stock market has fallen by roughly 20% from its peak in early 2018, and the Chinese Renminbi has fallen by roughly 10% in relation to the US dollar. With the trade war continuing to escalate, the Chinese economy may slow further, reducing global demand for oil. Given everything that’s happening around the world, I’m tempted to say that oil prices are close to fair value right now. However, the same can’t be said for many of my oil stocks, which continue to trade as if oil will go back to $50/bbl. I will therefore continue to hold my oil stocks. At the same time, I believe it’s prudent to start making bets against certain stocks, to prepare for the scenario when the trade war sends global stock markets spiralling down. Therefore, for my TFSA, I bought some put options on Tesla that expire in June 2019. As you may know, I’ve long been pessimistic on Tesla, but the reasons for that pessimism that I’ve detailed so far have been somewhat philosophical. In light of recent developments, my reasons have become very simple and practical. As of the last reported financial statements, Tesla had roughly $2.2 billion in cash at the end of June 2018. Over the past year, the company has burned roughly $1 billion of cash per quarter (a quarter is a period of 3 months). The company’s cash position hasn’t gone down by $1 billion a quarter so far, however, because it has continued to delay payments to its suppliers, and because it has borrowed increasing amounts from its lenders. However, the company can no longer do either of these for much longer. Assuming the company continues to burn $1 billion per quarter, the company only has cash to last until the end of this year. In reality, they’d have to declare bankruptcy before that time since they need a minimum cash reserve to conduct business. The only way to avoid this fate is to raise more money, but that depends on the state of the market. If investors are still feeling very optimistic, then Tesla may be able to raise the money it needs to survive. (The recent going-private talks may throw a monkey wrench into that possibility, but that’s another topic.) But if the global economy falters, investors will be less willing to finance a money losing company, while at the same time further increasing the company’s cash burn. I believe the company will almost certainly go bankrupt in this scenario. Tesla therefore makes an ideal candidate for hedging against a global economic downturn. But it’s by far not the only one, and so I may add some more bets against select companies in the coming months.